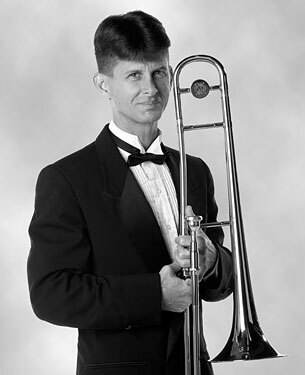 Jazz Trombonist Harry Watters travels nationally and internationally as a Jupiter Artist. His numerous Summit Records releases include the popular Love Songs and the three critically acclaimed Brothers discs with trumpeter Ken Watters. After graduation from the University of North Texas, Harry spent four years touring and recording with the renowned Dukes of Dixieland. While working at night on Bourbon Street, a sleep-deprived Watters attended the University of New Orleans by day, serving as the graduate assistant to Professor Ellis Marsalis. Watters has performed with Doc Severinsen, Al Hirt, Pete Fountain, Erich Kunzel, Kevin Mahogany, Wycliffe Gordon, Lou Rawls, Maureen McGovern, Bill Watrous, Carl Fontana, Jiggs Whiggam, James Moody, Peter Erskine, Conrad Herwig, John Fedchock and the Boston Brass. In addition, Harry has appeared as a featured soloist with the Syracuse Symphony, the Baton Rouge Symphony, the Louisiana Philharmonic, the Tulsa Pops, the West Virginia Symphony, the University of North Texas One O'Clock Lab Band, the Janacek Philharmonic, the Moldovan Festival Orchestra and the U.S. Army Orchestra. Harry is constantly in demand as a Jupiter Artist and Clinician. He has presented his "Power Practicing" seminar at the American Band College, the Jazz Education Network National Conference, the Association of Concert Bands' National Convention, the University of North Texas, New Mexico State University, the University of Texas at Austin, the University of Tennessee, East Carolina State University, Texas Christian University, Baker University, the University of Central Florida, Virginia Commonwealth University, the University of New Orleans, Louisiana State University, the University of Montana, Utah State University, Kent State University and in high schools throughout the United States. Harry is married to violist and keyboardist Holly Watters of the U.S. Army Strings. They reside in Alexandria, Virginia with their three children Harry V, Katherine the 1st & Lady Caroline.